Holiday Green Campsite is an ideal venue for the entire family. 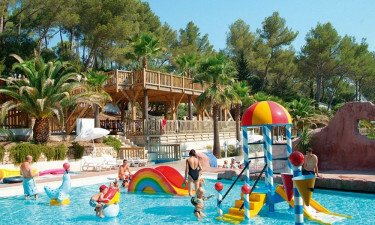 Often billed as one of the most prestigious resorts within the French Riviera, Holiday Green Campsite is an ideal venue for the entire family. To appreciate more of what this luxury camping site has to offer the entire family, it is recommended to speak with a representative from LUX-camp. A prime location between Saint Tropez and Cannes. 640 pitches to choose from. 15 hectares of tranquil nature to enjoy. This is a family-friendly luxury camping site. Children will be enamoured with indoor play areas, a large open-air aquatic park, live entertainment and even a petting zoo. 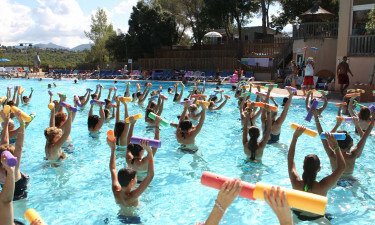 Adults can enjoy such leisure pastimes as table tennis, tennis, volleyball and miniature golf. A short day trip provides additional options that include sailing, surfing, diving and golf. There is also a relaxing sauna found only 7 kilometres from this luxury camping resort. In the season 2016 a new aquatic play area and a petting zoo will be established at the campsite. A convenient restaurant-bar combination is able to cater to even the most discerning of needs. From international foods to the famous cuisine of southern France, the variety of dishes offered will be plenty for hungry campers. It is always a good idea to sample some of the regional plates which have made Provence such a famous location within France. Fresh salads, pizzas, burgers and a full takeaway menu are also offered. The bar provides countless cocktails and a large-screen television displays all of the latest sporting events. It only makes sense that this holiday camping site is equipped with a fully stocked grocery store and snack outlet. 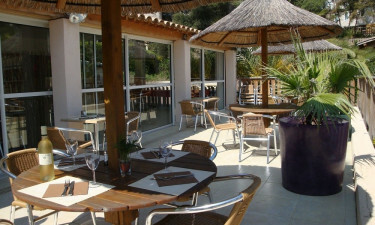 Produce such as fruits and vegetables, freshly baked bread, pastries, wines and soft drinks abound. There is also a newspaper kiosk and a shop that sells tobacco products within this grocery store. Anyone who hopes to learn more about what is found at Holiday Green Campsite should speak with a professional at LUX-camp. The French Riviera is indeed only moments away!